A Utah dad is now one of the official ‘Disney Moms.’ Here are his 10 tips to make your trip to Disneyland more magical. (Photo courtesy Tony Slade) Newly minted Disney "Mom" Tony Slade — holding a Disneyland churro — and his wife, Rae, in front of Sleeping Beauty's Castle. For years, Riverton’s Tony Slade has been the go-to guy if you’re planning a trip to Disneyland. Now he’s official — as a new member of the Disney Park Moms Panel. 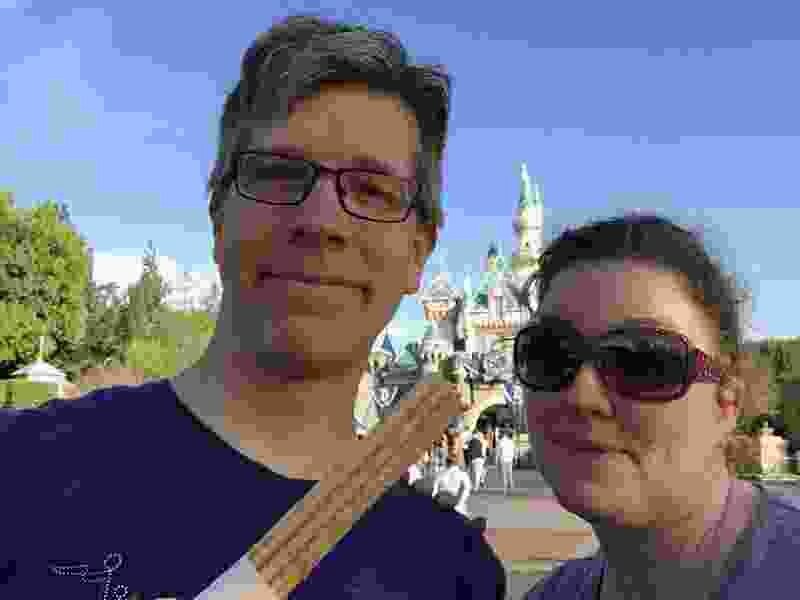 The 42-year-old works at an aerospace manufacturing company, is the father of four and now is a Disney Mom — a group that answers questions online (DisneyParksMomsPanel.com) from folks who are planning trips to the parks. Slade specializes in Disneyland in Anaheim, Calif., a place he first visited when he was 10. “My family loaded up a motor home and did an epic journey to Southern California” and spent Christmas Day 1986 at the park, he said. “It was a great, great fun time with our cousins, and we had a blast,” Slade said. 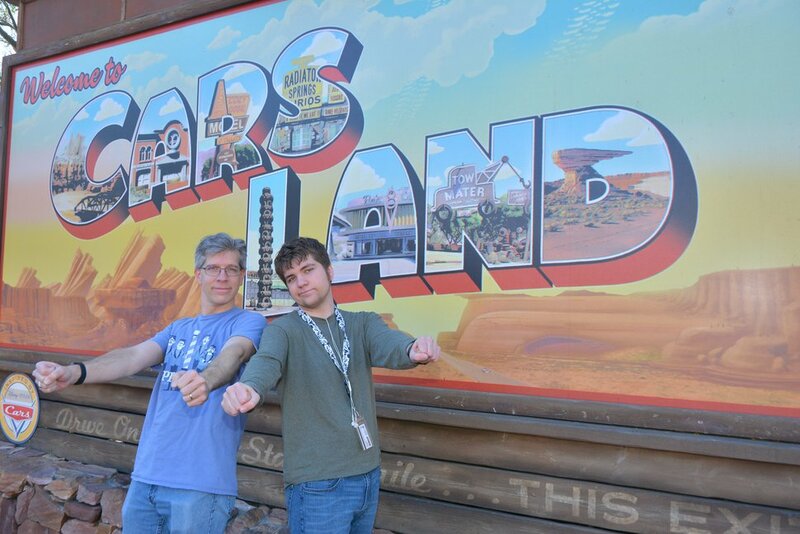 (Photo courtesy Tony Slade) Disney Parks "Mom" Tony Slade and his son, Joseph, at Cars Land. Since then, he’s traveled to Anaheim dozens of times and spent a total of “64 days or something like that” at Disneyland. And he is a true believer in the Disney way. After applying annually for five years to become a “Mom,” he’s excited to finally be one of them. He spends several hours a week online answering questions about how to make reservations, buy tickets, where to eat, places to visit and things to do. And, yes, he still finds something new and magical every time he goes himself. (Photo courtesy Disneyland Resort) Mickey Mouse, Goofy and Minnie Mouse welcome visitors in front of the Sleeping Beauty Cast... (Photo courtesy Joshua Sudock/Disneyland Resort) The Pixar Lamp stands atop the Pixar Pier marquee. (Photo courtesy Richard Harbaugh/Disneyland Resort) The blue monorail at Disneyland dons a new celebratory and colorful desig... (Photo courtesy Richard Harbaugh/Disneyland Resort) Guardians of the Galaxy Mission: BREAKOUT! looms over the skyline at Dis... (Photo courtesy Scott Brinegar/Disneyland Resort) The Main Street station offers the first point of entry for those who wish ... (Photo courtesy Joshua Sudock/Disneyland Resort) Disneyland guests and cast members celebrate Mickey Mouse’s birthday on Nov.... (Photo courtesy Joshua Sudock/Disneyland Resort) Mickey's Mix Magic lights up the night at Disneyland Park with a high-energy... (Photo courtesy Joshua Sudock/Disneyland Resort) The thrilling Incredicoaster opened in 2018 at Disney California Adventure P... (Photo courtesy Joshua Sudock/Disneyland Resort) The show Fantasmic features a fire-breathing dragon from “Sleeping Beauty.” (Photo courtesy Disneyland Resort) Disneyland guests board a trusty tramp steamer for the Jungle Cruise ride. (Photo courtesy Scott Brinegar/Disneyland Resort) No visit to the Disneyland Resort is complete without seeing fireworks burs... (Photo courtesy Paul Hiffmeyer/Disneyland) Inspired by the classic Disney animated movie, Alice in Wonderland, the Mad Tea Pa... (Photo courtesy Disneyland Resort) The Monorail Slides at the Disneyland Hotel. (Photo courtesy Disneyland Resort) Mickey Mouse, Goofy and Minnie Mouse welcome visitors in front of the Sleeping Beauty Castle at Disneyland. 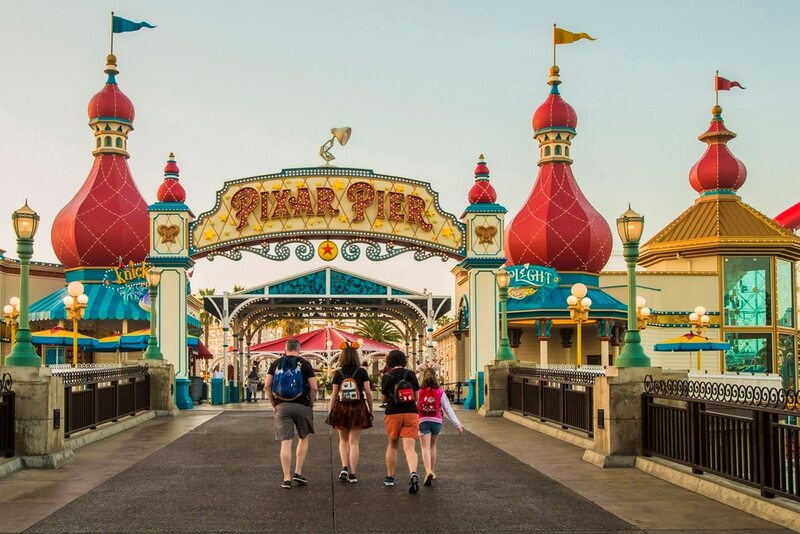 (Photo courtesy Joshua Sudock/Disneyland Resort) The Pixar Lamp stands atop the Pixar Pier marquee. 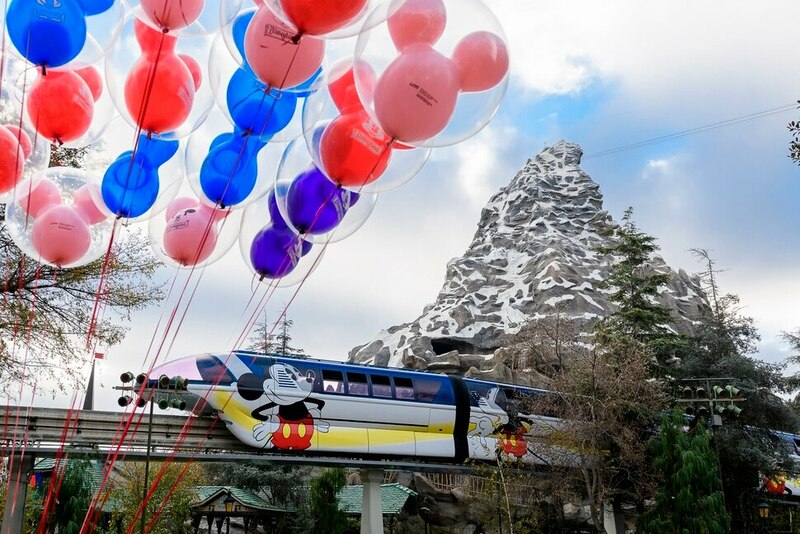 (Photo courtesy Richard Harbaugh/Disneyland Resort) The blue monorail at Disneyland dons a new celebratory and colorful design in honor of Get Your Ears On - A Mickey and Minnie Celebration. (Photo courtesy Richard Harbaugh/Disneyland Resort) Guardians of the Galaxy Mission: BREAKOUT! looms over the skyline at Disney California Adventure Park (Photo courtesy Scott Brinegar/Disneyland Resort) The Main Street station offers the first point of entry for those who wish to soak up the scenery on a grand circuit tour of Disneyland park aboard one of the trains of the Disneyland Railroad. (Photo courtesy Joshua Sudock/Disneyland Resort) Disneyland guests and cast members celebrate Mickey Mouse’s birthday on Nov. 18, 2018, during a festive cavalcade down Main Street, U.S.A. (Photo courtesy Joshua Sudock/Disneyland Resort) Mickey's Mix Magic lights up the night at Disneyland Park with a high-energy projection show celebrating the one and only Mickey Mouse. (Photo courtesy Joshua Sudock/Disneyland Resort) The thrilling Incredicoaster opened in 2018 at Disney California Adventure Park. (Photo courtesy Joshua Sudock/Disneyland Resort) The show Fantasmic features a fire-breathing dragon from “Sleeping Beauty.” (Photo courtesy Disneyland Resort) Disneyland guests board a trusty tramp steamer for the Jungle Cruise ride. (Photo courtesy Scott Brinegar/Disneyland Resort) No visit to the Disneyland Resort is complete without seeing fireworks bursting high above Sleeping Beauty Castle. (Photo courtesy Paul Hiffmeyer/Disneyland) Inspired by the classic Disney animated movie, Alice in Wonderland, the Mad Tea Party attraction at Disneyland re-creates the film's madcap unbirthday sequence featuring the Mad Hatter and March Hare's chaotic tea party. (Photo courtesy Disneyland Resort) The Monorail Slides at the Disneyland Hotel. 1. Buy multiday tickets • A lot has changed since Disneyland opened in 1955. Many new attractions and entertainment offerings have been introduced, and much more is on the way — including Star Wars: Galaxy’s Edge, which opens this summer. A one-day visit, while still special, will leave you wishing you could stay longer. 2. 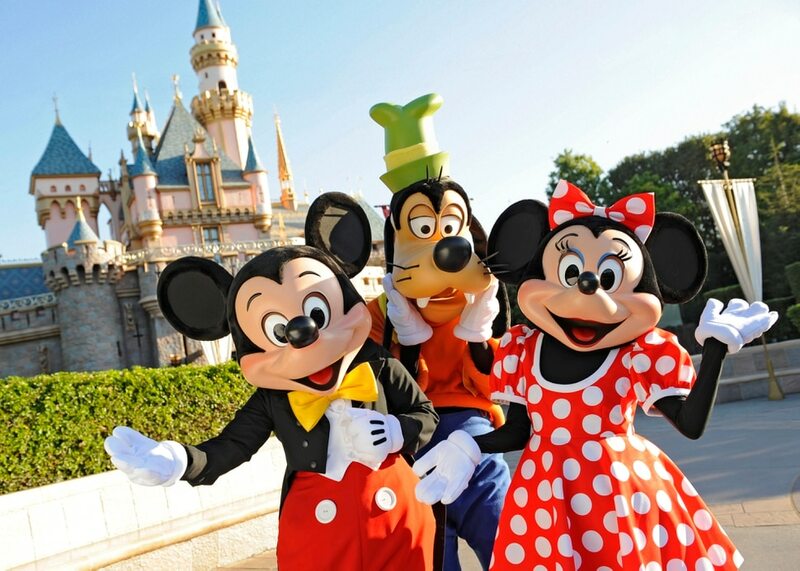 Buy Park Hopper tickets • Disneyland and Disney California Adventure are just footsteps from each other. With two major theme parks so close, it’s easy to keep the fun going hour after hour. 3. Make dining reservations • My family definitely loves the rides, but it’s often the delicious food that keeps us talking about our previous trips and inspires us to make plans for our next trip. Going from attraction to attraction can take a lot of energy. We like to recharge with a nice, relaxed meal at one of our favorite restaurants, like Carnation Cafe. 4. Enjoy an iconic snack • Speaking of food, we love to refuel with delicious snacks from time to time. From churros to popcorn, there is something for everyone. Our family’s favorite is the Mickey-shaped beignets from the Mint Julep Bar. 5. Use Disney PhotoPass • Let the Disney PhotoPass photographers record your vacation memories for you. It’s so nice to have ALL of your family in the picture, taken by a professional photographer. Our PhotoPass photos are cherished keepsakes that adorn the walls of our home. 6. Utilize the Disney FASTPASS Service • FASTPASS is a complimentary service included with your park tickets. It allows you to make reservations to use the shorter queues at select attractions. 7. Add Disney MaxPass to your tickets • Disney MaxPass is an excellent way to maximize your visit to Disneyland Resort. It allows you to make FASTPASS reservations on your mobile device. Plus, all digital downloads of your Disney PhotoPass photos are included. 8. Disneyland isn’t just for kids • My wife and I enjoy our Disneyland visits without our children. Whether we are celebrating our anniversary or attending Mickey’s Halloween Party, we love spending time with each other at the Happiest Place on Earth. 9. Take a break • Some of the best times of day to enjoy shorter lines and beat the heat are early in the morning and later in the evening. But going nonstop from morning to night can be exhausting. A short break in the afternoon to nap or swim at the hotel can be just the right thing to keep everyone happy and energized. 10. Go on a guided tour • Some of our most memorable experiences at Disneyland have been a ride around the Disneyland Railroad in the Lilly Belle VIP parlor car, sipping hot cocoa and relaxing in reserved seats for the Christmas Fantasy Parade, and an extra special visit to Walt Disney’s private apartment. These are the types of experiences that may be available on one of the guided tours that are offered.